New to gardening, could use advice on Sago and Gardenia. My name is Sam, and I got into gardening slightly because of my father. He has many plants back home... all in pots, none actually planted. 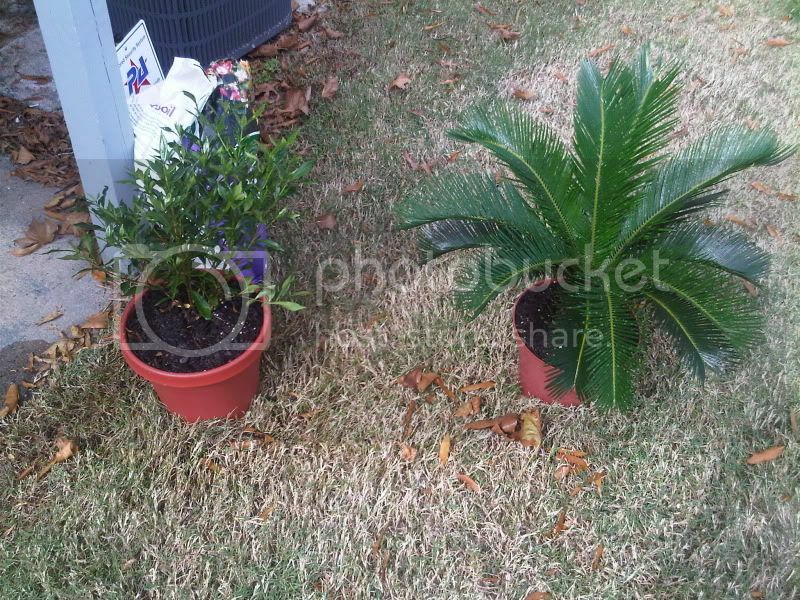 So last time he visited he bought me a Sago Palm and I bought a Gardenia. I've yet to see flowers from either, and they are still in pots because I rent and don't have the means to plant them in the dirt. I'm going to post some photos to tell my story. I sprayed it like it described (maybe a little more) and then went on vacation for 6 days, when I returned I sprayed it again and have not since. That was January 8th. The guy at the store said I was over watering the Sago and I could easily get away with watering once a month. I think 1 month is too much for a plant to not get water. So I instead water once a week. There's still quite a bit of yellow. This is the food I used on both since it's been 3 months since I bought them. Oh and I added a little bit of new soil. Oh and I read today that leaving the leaves that fall from another tree just stay in the center of the sago while they rot is bad for the Sago. So I removed all of them this morning. Last edited by smmy195 on Sun Jan 23, 2011 11:27 pm, edited 1 time in total. Welcome to the forum, Sam! Glad to have you with us! Is the debris in the sago from some other tree? I'm not quite clear about that. What kind of insects were on your gardenia? The debree is from the trees that are planted around the apartment building. Not sure what they are. and I don't know what insects they were. The lady at home depot recommended that product based on the same pictures I showed you all. Are your plants growing indoors or out? Since you haven't asked a specific question, I'll just offer some general advice. Be very careful about giving the sago too much water. It needs to dry out somewhat between waterings, or the roots will rot. When that happens the plant dies. If you're waiting for it to flower, it will be about 10 years, or even longer if kept in a container. I'm not sure about the fertilizer you're using on the sago. I believe I would try to find a palm fertilizer. 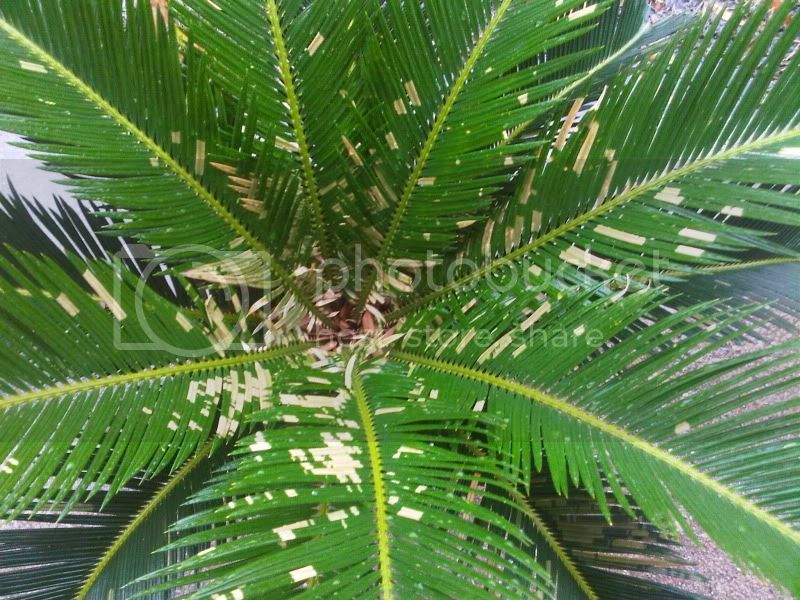 Cycads need micro nutrients and slow release nitrogen, which may not be found in regular fertilizers. You only want to fertilize it during periods of active growth, and 4 to 6 times a year should be plenty. If you give it too much, the salts can build up in the soil and damage the roots. The gardenia will love the acidic fertilizer you bought, but don't fertilize it after late summer. They like to be kept evenly moist, but not soaked. They will suffer equally if they get too much water or not enough, so you have to keep a close eye on them. Gardenias bloom in the spring, when the days are between 65Ã‚Âº and 75Ã‚Âº and the nights around 55Ã‚Âº to 60Ã‚Âº. They need high humidity, so you may want to mist your plant daily or place the container on a humidity tray. The webmaster and I had a difference in opinions and he altered my post. But that's fine. Well I'm not at all worried about the Sago flowering. Anyway, I already fertilized the Sago with that product I posted so I'll have to look for the one you mentioned on my next trip to the store. It'll be like 3 months before I fertilize it again anyway. Good to know it works well with the Gardenia. My plants are indoors during the day because the weather in Virginia right now fluctuates between 25F and 60F. Neither one of them is to be kept below 40F for any period of time, so I only take them out during the morning maybe 3-4 times a week. The rest of the time they are indoors where it's 60F-75F all the time. I water the Gardenia every other day or sometimes every 3rd to 4th day because it still feels moist. The Sago I let go bone dry before watering as recommended by the guy at home depot. My question is just on how to maintain them both healthy year-round for that's all I really care about. Watch for scale insects on the sago. They love 'em ! From looking at the picture of the sago you're not concerned? Am I handling it correctly, Kisal? The yellowing? Offhand I would guess it's suffering from too much water. Another possibility could be the pH of the soil has become too low, i.e. too acidic, most likely due to the fertilizer. Sagos like a neutral soil, about 6.5 to 7.0. In addition, they shouldn't be fertilized until the growing season starts, which would be spring. You might also want to check the fronds for those scale insects I mentioned. Look along the stems and underneath the leaves. They don't move, but just look like little bumps. It's sometimes hard to tell whether they're part of the plant! It's difficult to make a definitive diagnosis based on a photo. 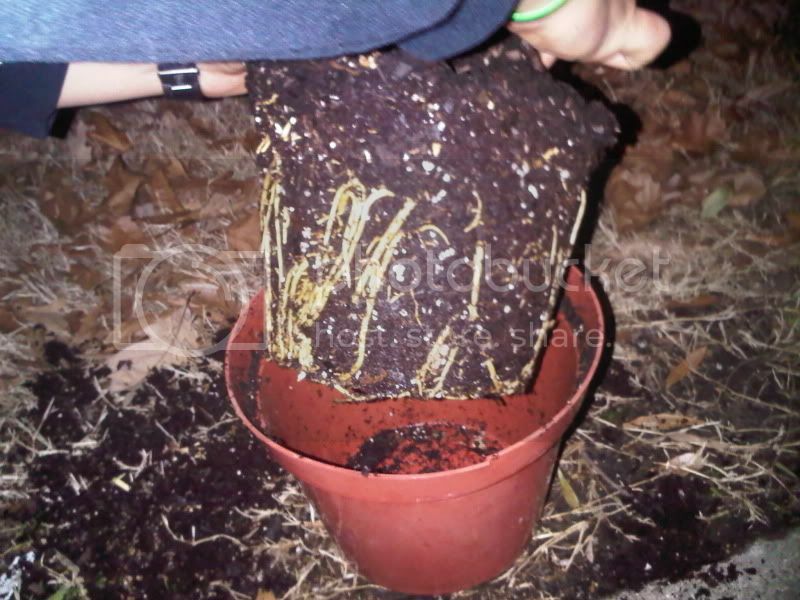 I would start by gently removing it from its container to look at the soil and roots. If the roots aren't darkened and/or mushy, and the soil isn't soggy or sour smelling, I would slip the plant back in the pot and carefully examine all of the fronds for scale insects. Finally, I would not put any more of that fertilizer on it. Let me know what you find after you examine the plant. Perhaps the pH of the soil needs to be adjusted a bit, but check for the more obvious problems first. 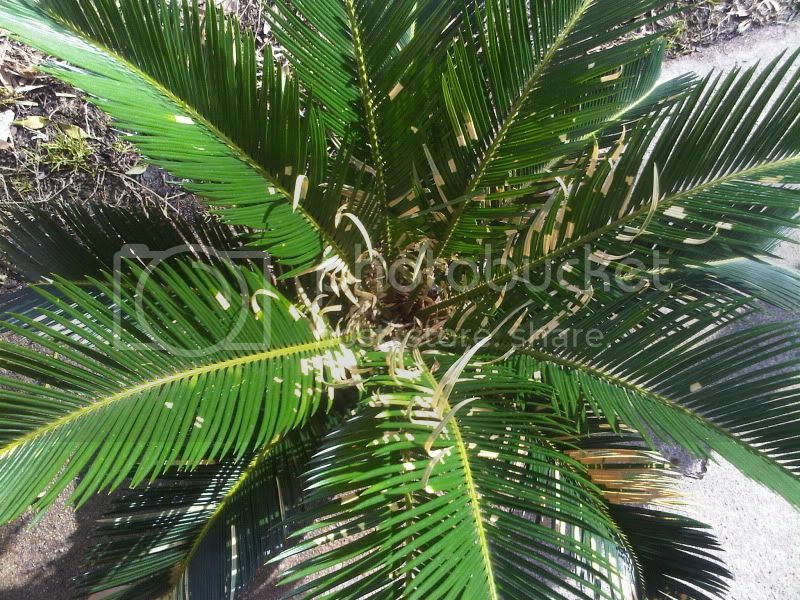 I have grown a sago palm before, and I don't think you should be concerned immediately with this patchiness on the leaves; sometimes they do that if moved about a lot. 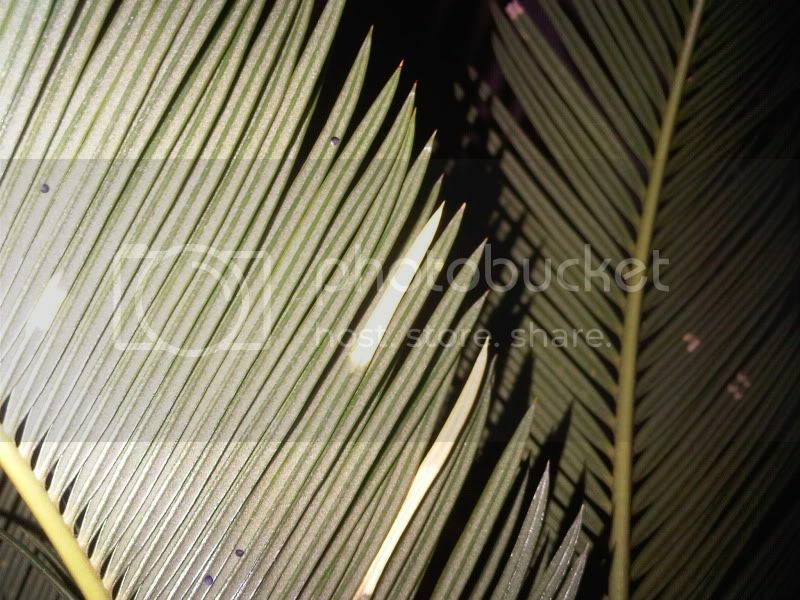 I have also heard stories of people who water their plants in the daytime, and as the water drops sit on the leaves they magnify the sun in those areas and scorch them. Are you watering it during the day? 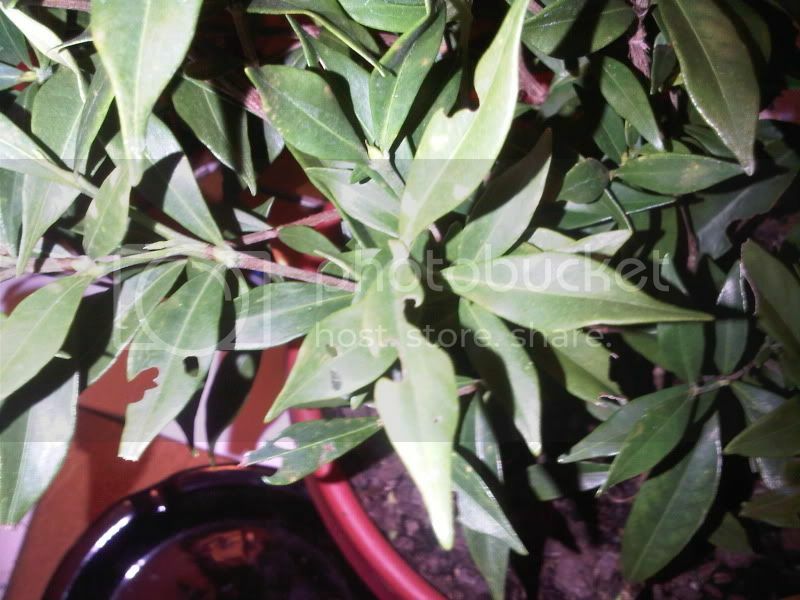 Either way, this small amount of damage won't hurt the plant, but don't move it around too much, and water in the evening or early morning when you do. There's the photo of the roots. They seem fine to me but I'm a novice. 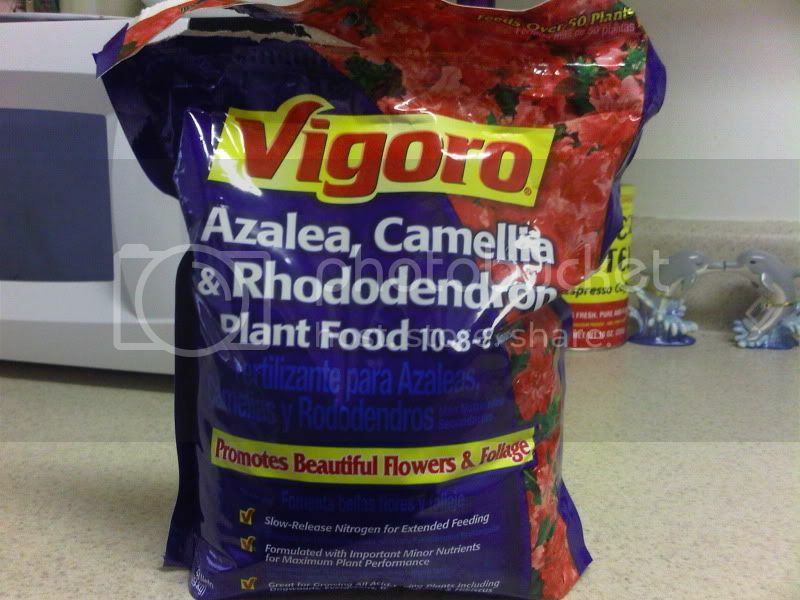 I removed the soil with the fertilizer and added new fresh soil. I will await the spring and feed it with the proper fert. @bonsaiboy - Before the winter here in VA where the temps have been as previously stated I watered in the evening. Like around 4:30-6:00PM. They sat outside all day and got whatever sun was available from sunrise till about noon. they were both green and perfect then. When winter started I had to move them indoors during the day when I'm not home so the cold doesn't burn them. Sometimes my girl will take them out (she leaves home later than me) and let them sit in the sun all day. When I return home I bring them indoors. I do move them quite often but there's very little I can do about that during the winter when they're staying in-doors. We've been noticing what my girl calls GNATS inside the aparment. I know that's not their real name but they're like really small flies. I noticed them on the sago during the inspection of the leaves. In which I also found small black bumps under the leaves. My g/f seems to think they are GNAT eggs. Your girlfriend is correct about the insects. They are gnats ... fungus gnats, to be exact. They tend to live in soil that's very moist and rich in organic material. There are a few ways to get rid of them, one of which is to let the soil dry out a little more. There are many discussions all over the forum about these critters, so you might want to use our Search Forum function. It's up on the black tool bar, right below the page header. Just search for fungus gnats, and you'll find many threads with good information and suggestions. Here is a link to one discussion to get you started. Check your last photo again. 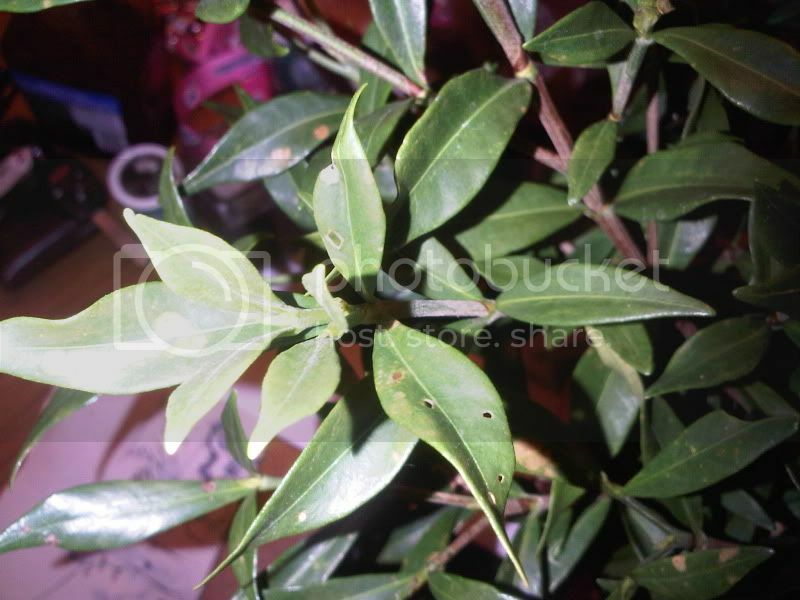 It looks like there might be a few scale insects on your plant. You don't want to let them get out of hand. Just rub them off with your fingertip. Here's a pic of a bad scale infestation on a sago frond. Those black dots are scale insects? When you said my g/f was correct I thought you agreed those were gnat eggs. So which are they because I'm confused now? I think what Kisal means is that the black insects you see flying around are fungus gnats, and the black dots on the leaves are scale insects. So in essence, there are two distinct pests in your midst. BTW You could just leave this plant inside 24/7 until the weather warms up if it's sitting by a bright window. That would eliminate the need to move it around a lot. Damn. I'm gonna go scrape them off right now. Is there any way to prevent them? And btw, thanks for the link Kisal. I also read online that apple cider vinegar in a bottle with a funnel works great for trapping and killing the gnats. I will try that and post resuts. There are lots of ways I've read about to get rid of scale. Some say that rubbing the affected areas with alcohol and water works. I spray neem oil on my plants that become infected with scale, and they usually disappear a week or so after the first treatment. Just remember if this is the path that you want to take, do do some follow-up treatments. And in case you don't know what neem oil is, it's an extract from the neem tree. 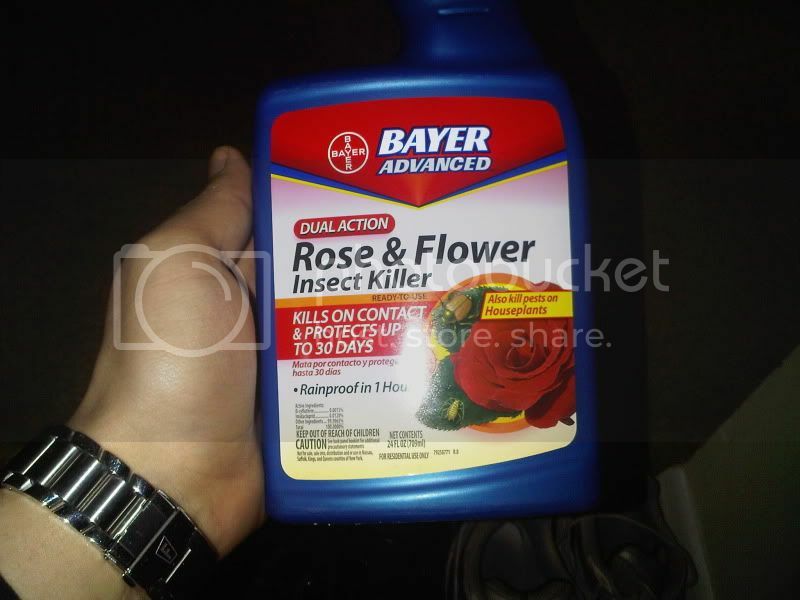 It is an organic insecticide that also inhibits the growth of fungus and bacteria on the plant it is applied to. Pic of the Gardenia I got for my B-day!